It started with an ache that consumed my pinky over several days; at first it was easy enough to dismiss, for aches and pains were a daily occurrence; a few days later the ache became more intense accompanied with a sharp and distinct pain, different from the typical tenderness of RA. 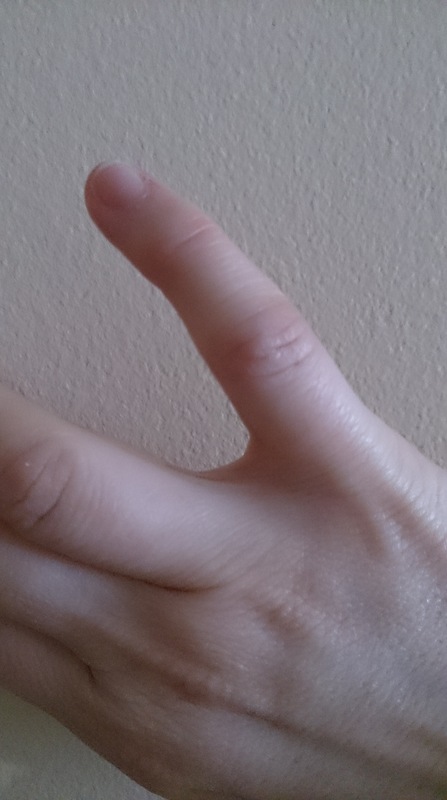 Had I inadvertently bruised or wounded my finger? I couldn’t recall. A what? A nodule? I was momentarily stunned. Wouldn’t that indicate damage? Haven’t I been doing all the right things, taking my medications, my vitamins, doing my exercises? Haven’t past x-rays, ultrasounds and CT scans shown everything to be normal? I couldn’t fathom how this little nodule had ripened on my finger, sneaking in like the proverbial weasel in a henhouse. My Rheumatologist told me he would order an MRI to assess the damage; in the meantime, he was going to refer me to a special educational class where I could learn specific exercises to strengthen my hands and fingers. He did not see the need to change any of my medications – I guess he didn’t think it was too unexpected. I left the office, obsessively staring at my new finger bump; the more I looked at it the bigger it got. My imagination took over and all I saw was this mammoth crooked finger. In reality it wasn’t that bad – pretty tiny in comparison and, after all, it was on the smallest of fingers. Things could be worse. I left that visit with a new bump and a bruised ego. I had lost this paltry battle, but before too long I recovered with a new determination to carry on and reinforce my barricade against old lady RA. I have nodule on one of my fingers, I think maybe on two. At first it concerned me and then I forgot about it. As long as it doesn’t affect my mobility, and they don’t hurt, I don’t focus on them. Hope yours doesn’t give you any more trouble. The osteo pain of my left pinkie persists. That is a pain! Take care.